The European Commission has brought a blueprint for a comprehensive revamp of the legal framework around intellectual property that promised a Europe-wide system for licensing digital content, improvements to the trademarks office and a crack-down on piracy and counterfeiting. 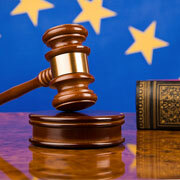 It also commits for the delivery of a single European Union (EU) patent and a court to deal with patent disputes. The single European system will be used for the collective management of rights to digital content. This will be allowing the companies to hand out multi-territory licenses, streamlining copyright licensing and the distribution of revenue. Also, it will be made easier to obtain permissions for license rights to "orphan works" where the copyright owner is not known, with the Commission tabling a legislative proposal that will enable the digitization and online access to works like books and newspaper or magazine articles that are still protected by copyright, but where the right holders are not known or cannot be located. It is also seeks agreement with libraries, publishers, authors and collecting societies, to work on digitizing and making available books that are out of copyright. Michel Barnier, Internal Market Commissioner said, "Ensuring the right level of protection of intellectual property rights in the single market is essential for Europe's economy. Progress depends on new ideas and new knowledge. There will be no investment in innovation if rights are not protected. On the other hand, consumers and users need to have access." Barnier also said that the Commission will press on with introducing the single patent under the enhanced cooperation procedure, although there is a disagreement from Spain and Italy with the plan. The proposals for modernizing the trade mark system both at EU and national levels and to adapt it to the Internet era will be announced later in the year. In June 2011, there will be discussions on new proposals for the patent court with ministers at the Competitiveness Council meeting because the European Court of Justice ruled early-2011 that the existing plans would not be legal. The official website of European Union - The European Union is a unique economic and political partnership between 27 European countries. It has delivered half a century of peace, stability, and prosperity, helped raise living standards, launched a single European currency, and is progressively building a single Europe-wide market in which people, goods, services, and capital move among Member States as freely as within one country. The official website of European Union's Intellectual Property Department.